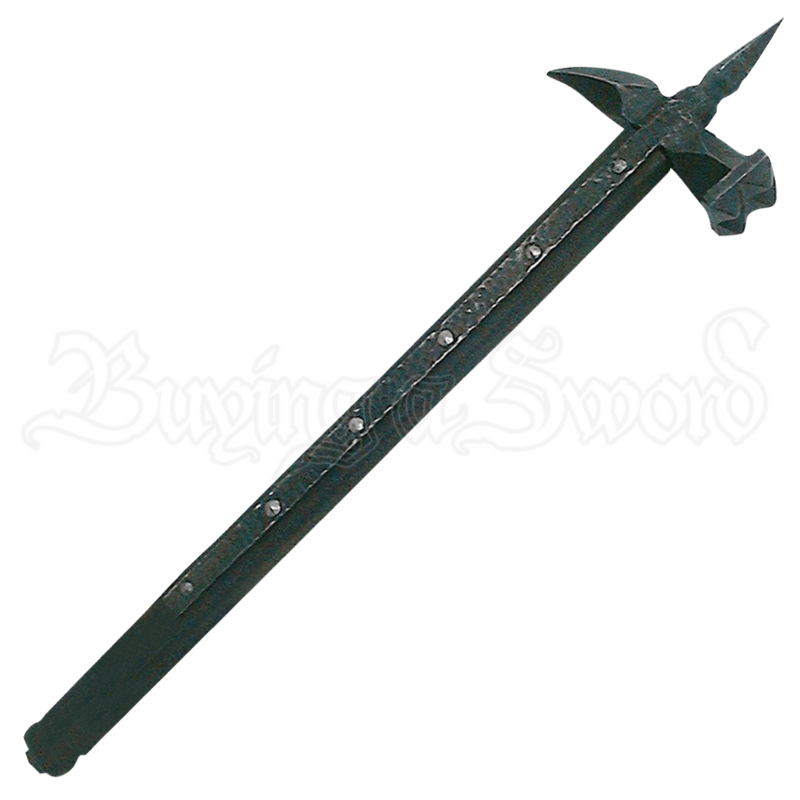 This war hammer is the real thing! The overall length is about 29 inches. 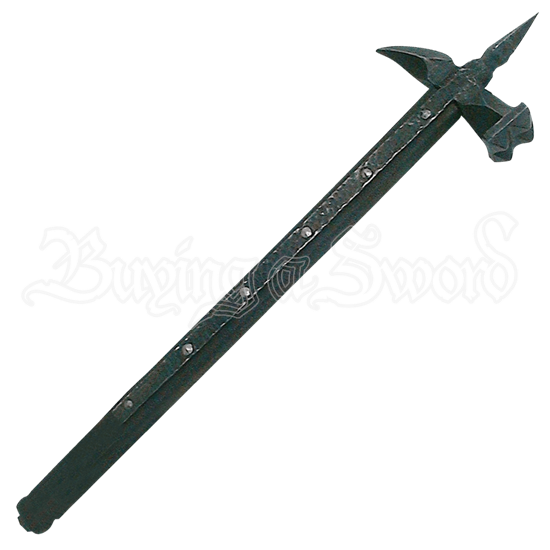 The blackened iron hammer head and spike, hand wrought in iron, are mounted on a blackened and seared wood handle, creating a truly menacing weapon. It looks like it should be behind glass in a museum! This weapon was very effective against full armor.